The Bower is a 127-hectare residential community that launched in 2016. 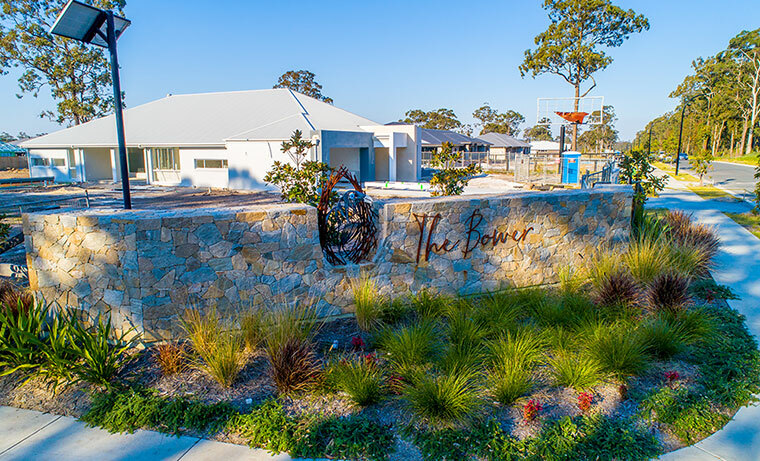 Located off Medowie Road in Medowie, The Bower was the first project for the McCloy Group in the Port Stephens region. The site is located on the western side of the Medowie township adjoining a small acreage subdivision and the Medowie State Conservation Area. The name, The Bower, has been inspired by the impressive homes created by the male Satin Bowerbird, which is found in the local area. The bowerbird meticulously maintains the bower throughout the year beautifully decorating it with bright blue objects. The new community will offer approximately 420 homesites currently ranging in size from approximately 600 square metres to 4000 square metres across 57 hectares. The remaining 70 hectares will be preserved as State Conservation Area and open space. As The Bower borders Medowie State Conservation Area, a key focus will be to develop a community that is sympathetic to the surrounding area and complement the Medowie lifestyle. 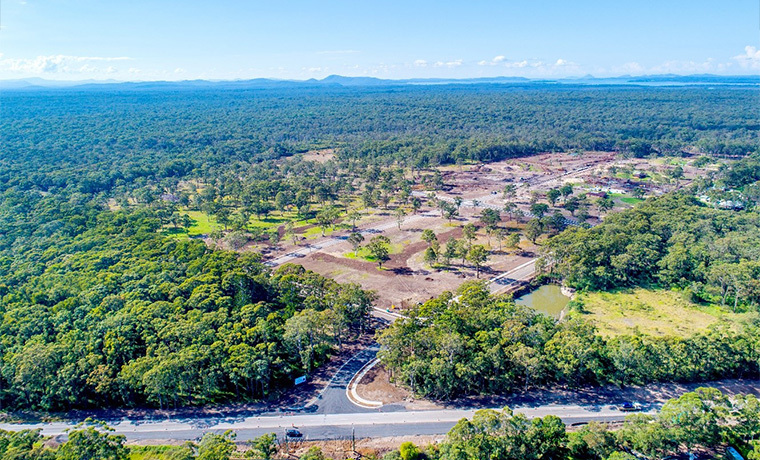 The estate benefits from its close proximity to local amenity and shopping facilities, including schools, childcare centres, Coles and Woolworths supermarkets and Pacific Dunes Golf Course. 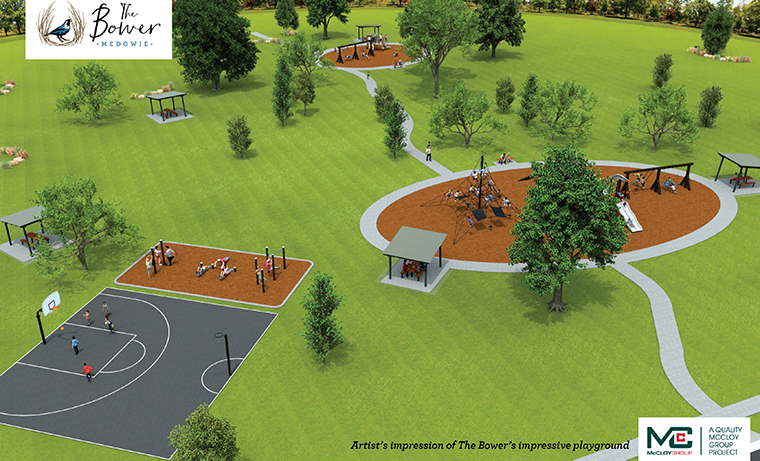 Come and see The Bower community for yourself, including the 1 hectare park and playground to be ready for auction day. Be a part of the action and get involved with Build for a Cure, the house built with love is located just minutes from The Bower’s new playground. This is a hectare of parkland and playgrounds for community enjoyment. You don’t see them like this often with basketball tower, netball hoop, exercise area, turbo double side, spiral climb and crazy crossing just to name a few!